This question is difficult to answer because we’re all in a unique place physically, have individual foundations of knowledge, and have different reasons for reading. 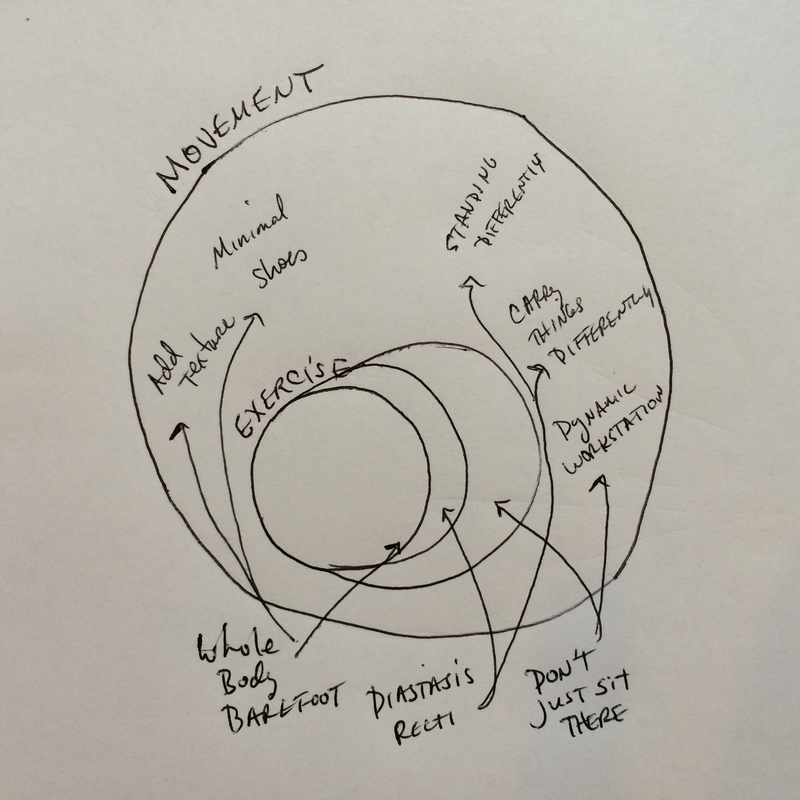 Movement is a very large topic and not everyone approaches it with the same intention; some people are drawn to one of my books because most contain helpful exercises for various physical issues and some are drawn to my books because they contain the idea that we don’t need to exercise at all. No matter which books you read and in what order, you will find they all contain guidance on how to move more. The over-arching theme to all of my work is this: movement is a “part” of our body, much like electricity is a part of a working television. The physical issue you may be experiencing, whether it’s bunions, plantar fasciitis, your back going out, diastasis recti, pelvic floor prolapse, hernias, osteoarthritis, Type 2 diabetes, osteoporosis, and perhaps even other issues like certain cancers and Alzheimer’s disease, to give a couple examples, relates to (among other things, naturally) how you move. Some of my work explains how this relationship functions, i.e., how movement works on a micro and macro level, as far as the physical forces are concerned. It describes the way forces move your individual cells and affect how they behave. And most of my work found here—describes how to change the aforementioned physical forces, and therefore change the physical outcome we experience, by moving differently. ALREADY this blog post feels sort of technical, so let me say things another way and add some crappy diagrams for, you know, clarity. 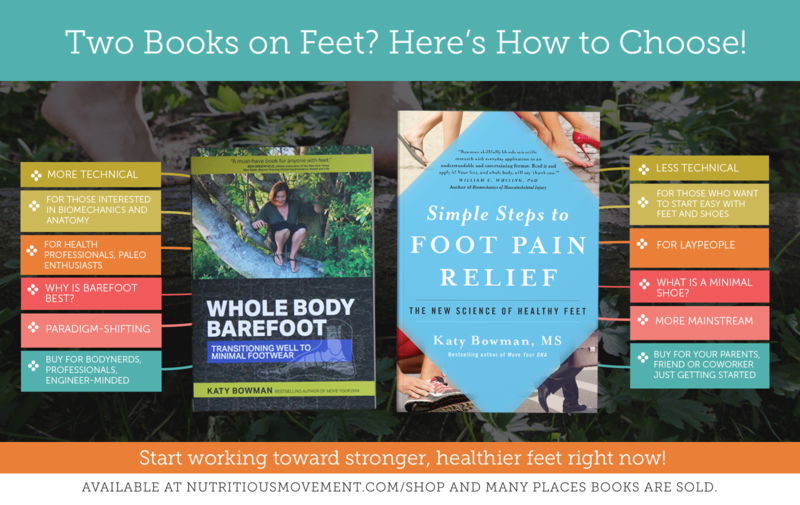 My first book is Every Woman’s Guide to Foot Pain Relief, recently updated and gender-neutraled to Simple Steps to Foot Pain Relief: The New Science of Healthy Feet. Simple Steps is not at all technical—I was actually gearing it to an un-sciency family member with foot pain as I wrote it. 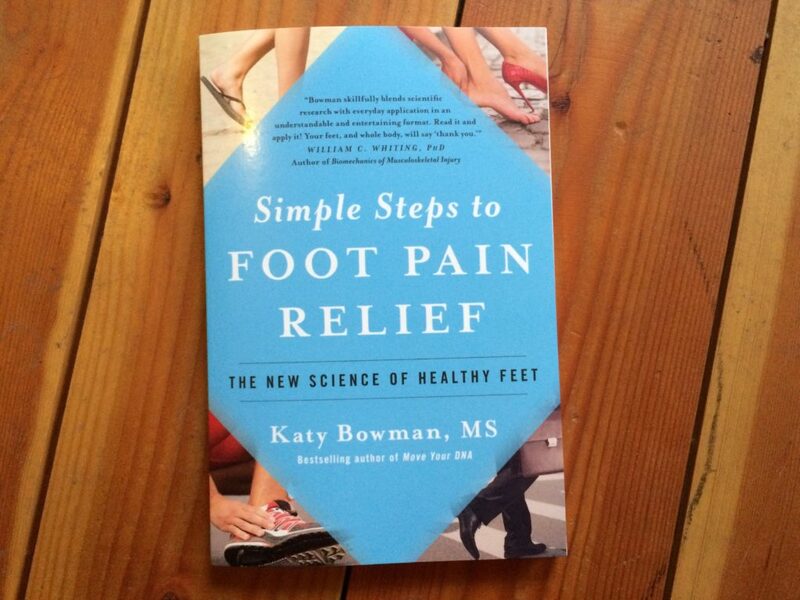 If I had to sum the book up in one sentence, it's this: your foot pain is likely related to the physiological state of your feet, which is, in turn, related to how your feet move (relative to themselves and to your body), which, in turn, is related to what you’ve put on your feet every day and how your body has been positioned on top of your feet. Or even more simply: your feet can feel better if you move differently. 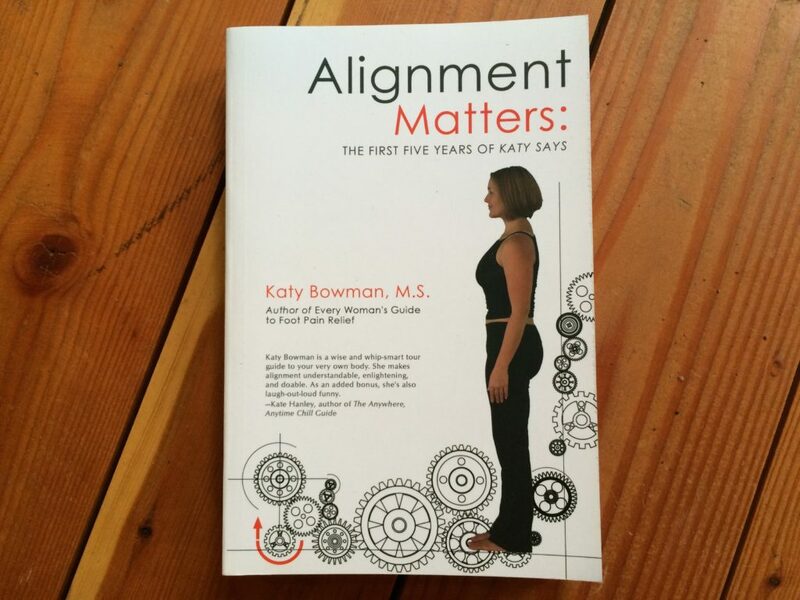 My second book is Alignment Matters. It is the compilation of the first five years of my blog (which I am getting ready to close any day now after 10 years—cue the song “Circle of Life”). There is no need to read the book Alignment Matters—you can find most of the content by reading through my blog archives. Still, it’s hard to read blog posts in the bath, says this avid bath-reader, and so a book was made—the blog posts edited and organized into a sort of alignment primer. as, written for laypeople, by which I mean that there are many (many, many) more details to exercise and movement not introduced in this book. I've heard from many exercise teachers and those new to the idea of alignment, that Alignment Matters is an essential read. This book summed up? : Alignment matters. 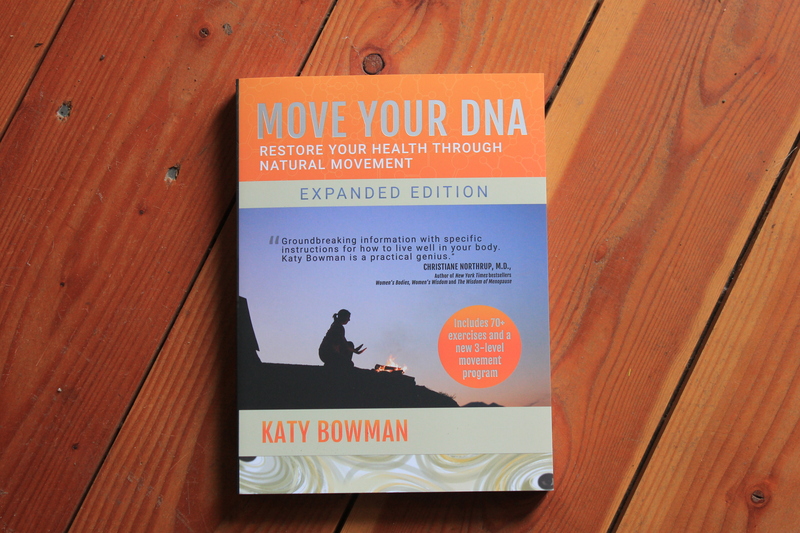 My third book is Move Your DNA: Restore Your Health Through Natural Movement. 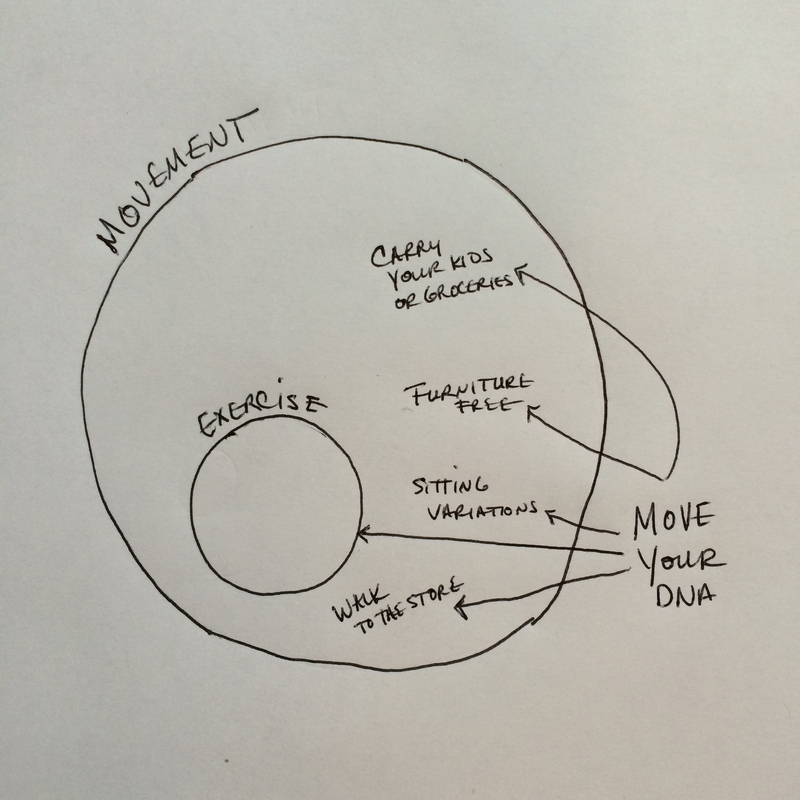 Move Your DNA is where I first robustly pan out from exercise to show how exercise relates to movement. To use crappy diagram drawings, Move Your DNA is where I say, you know that thing “exercise” we’re always talking about, whether as exercisers, or movement teachers, or exercise scientists? 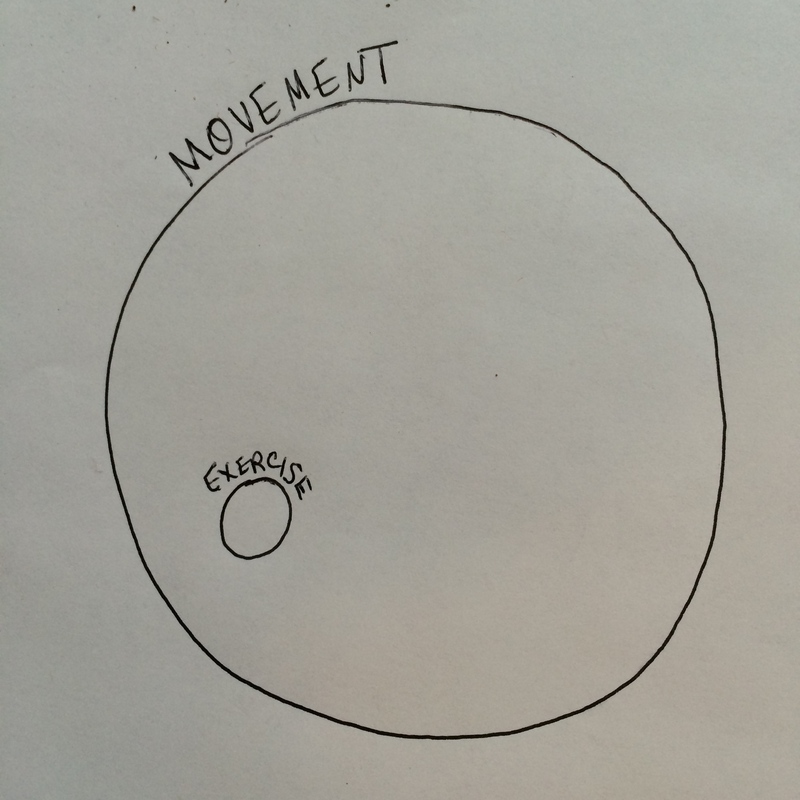 Exercise is a teeny tiny fraction of movement, but this isn’t always (or ever?) stated. 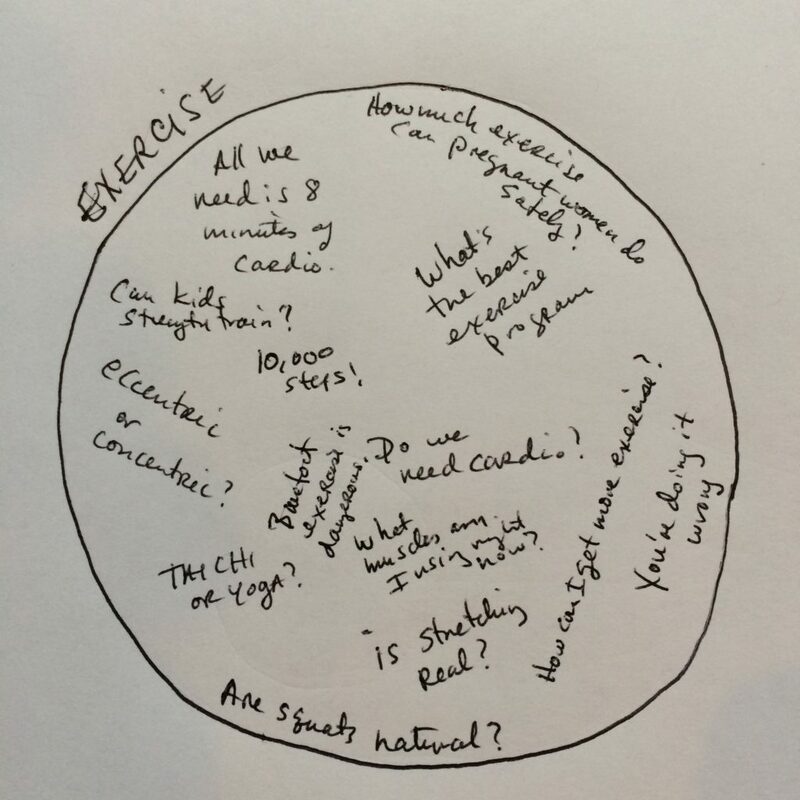 And so, our numerous discussions regarding “how exercise works” are challenged from the get go because we’ve begun them without a clear picture of the thing we’re trying to discuss. In addition to showing (simply) how exercise relates to movement, MYDNA does two things: it expands your exercise bubble by offering other movements to do for exercise and it gives you some non-exercise movements to add to your life—both geared to help you to move more and move more of you. This book summed up: You are how you move, and I don't mean just exercise. 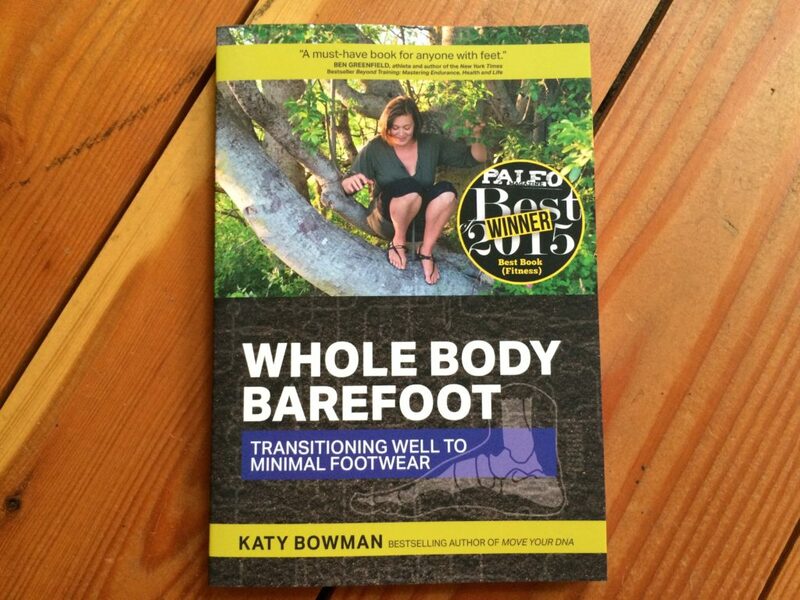 My fourth, fifth, and sixth books are Whole Body Barefoot: Transitioning to Minimal Footwear, Don’t Just Sit There: Transitioning to a Standing and Dynamic Workstation for Whole-Body Health, and Diastasis Recti: The Whole-Body Solution to Abdominal Weakness and Separation, and I think of them as extensions of Move Your DNA. While these are all stand-alone books (you don’t have to read Move Your DNA first or even at all for the exercises to work, i.e., change your experienced forces), they increase the breadth of the application of principles outlined in Move Your DNA. Each of these books expands the exercise bubble to include more exercises (more movement) as well as introduces additional non-exercise ways of moving more (more movement). I could have titled these and summed them up as: Move Your DNA: YOUR FEET and Move Your DNA: At The Office and Move Your DNA: YOUR CORE. If you read Move Your DNA first and then these other books, it’s likely you’ll get even more out of a subsequent re-read of Move Your DNA because you’ll have seen the idea expanded and applied more broadly. 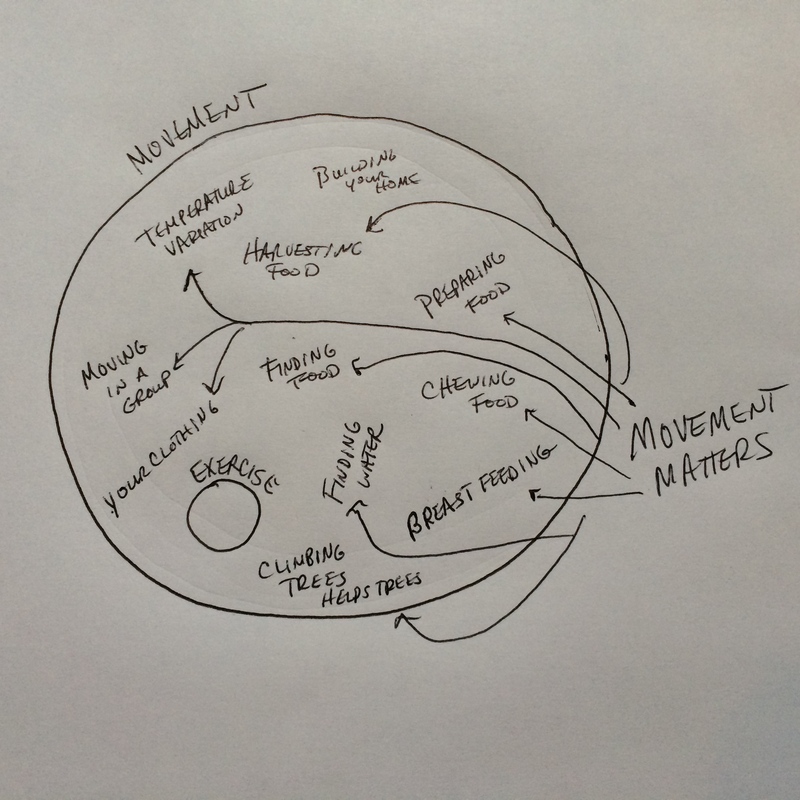 My seventh book is Movement Matters: Essays on Movement Science, Movement Ecology, and the Nature of Movement and it’s in this book that I deepen some of the detail behind the non-exercise portion of the above-pictured diagrams from Move Your DNA. Movement Matters is about MOVEMENT, which can make it a challenging read in an exercise-centric world. Because we’ve been indoctrinated in exercise culture, we don’t have an ease of language (and thus perhaps the mental framework) to talk about movement thoroughly. This can make Movement Matters sort of jolting, similar to going off roading vs. driving your car on the freeway. Jolts make you pay attention to the road you're on, and I'll just stop the metaphor now. You get it. 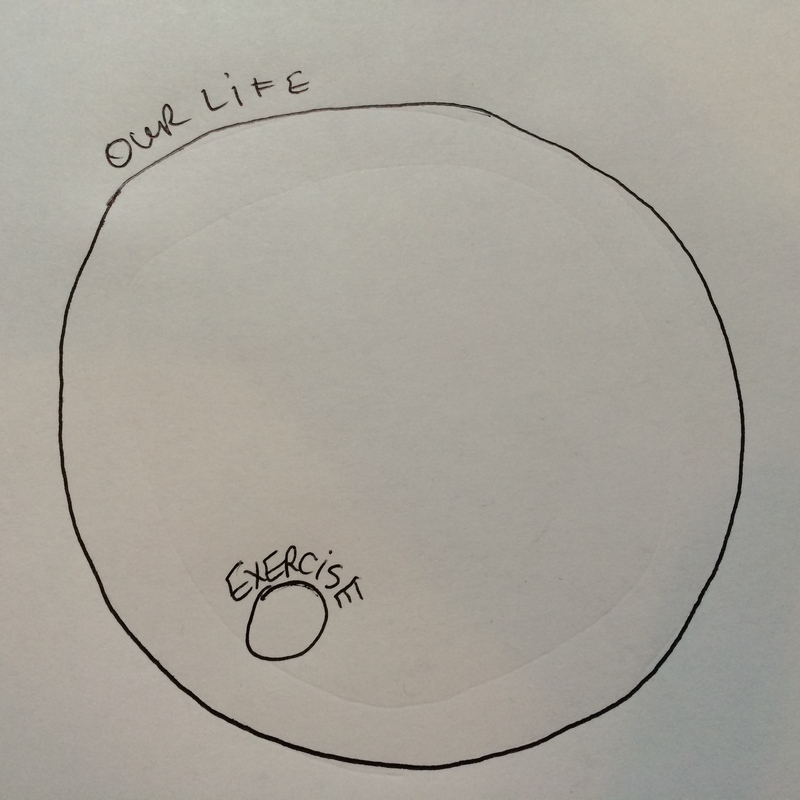 The daily operation of our life currently allots this much space for movement-in-the-form-of-exercise. I argue that this is a two-fold problem because it means 1) we’re not moving the amount we require (i.e. this arrangement leaves us movement-malnourished) and 2) we've increased, unsustainably, the demand placed on other living things by not moving (i.e. it leaves others and the planet movement-malnourished). 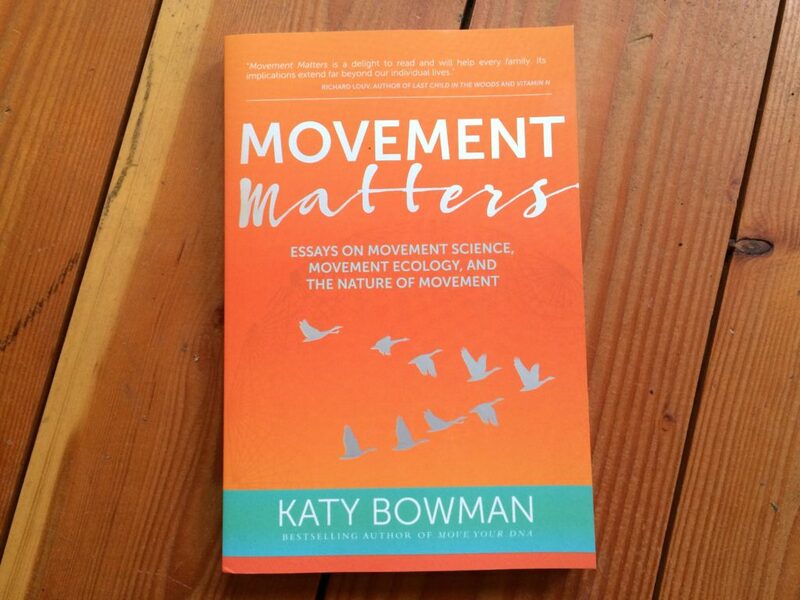 Movement Matters offers my broadest perspective on human movement (keeping in mind that exercise is a very narrow view of human movement, which is why there’s no exercises in this book). That all being said, Movement Matters offers plenty of exercises in movement—that is, it asks you to think about ways to accomplish the tasks in your everyday life with more movement and less movement outsourcing. With this approach, you don’t need to add more exercises to get more movement, which means that tips from this non-exercise book can help you get you more movement than all my other exercise books combined. Movement Matters summed up: our movement is part of both a personal and global ecosystem, and our lack of movement is taxing those ecosystems unduly. Yes I can, with the help of four of my friends—all septuagenarians who’ve been exercising and non-exercising using the content of all my other books—for almost ten years now. And, P.S. Every single human on the planet who's alive is aging and can benefit from doing so dynamically, so you could also think of this as a book to approach any of the changes outlined in all of my books in a gentle way. 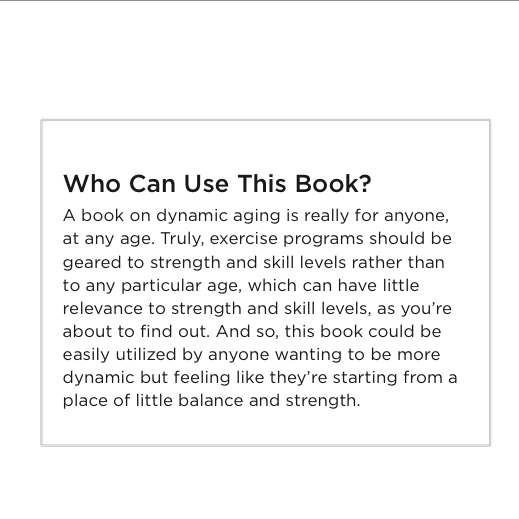 We thought Dynamic Aging would be a short book, but by the time we were added all the exercises and stories from my co-writers, and lifestyle tips, it ended up being a pretty hefty beginner's exercise guide as well as guide to non-exercise movement. As in, it's tripled in page count. This book summed up: You're not having trouble moving because you're too old, you're having trouble because you haven't, like most of us, moved that much, and you've had sedentary behavior longer. Or maybe it would be, Move Your DNA: Yes, I'm Looking at You, Oma. While I often joke about not writing any more books, I really am close to being done. Just so you know, there’s a big book (my most comprehensive yet) on Nutritious Movement I want to write, that functions as a guide to transitioning one’s body and mind from a sedentary/exercise-heavy life to a movement-rich one. I also have one baby/kid’s movement book in me. After that, perhaps I’ll write a movement-memoir if I’m fortunate enough to gather a few more decades under my belt. BUT ANYWAY, here’s my answer to the opening question "what book do I read first? ", my answer assuming that money and time are abundant (HAHAHA). If you can only read one, read the one that will get you moving the most. That is, if your achy foot, or weak torso, or 9-5 job is thwarting whole-body movement, start with a book geared toward the thing ailing you. If it’s your feet and you can’t decide which foot book is most appropriate, we made this graphic to help you compare the books. 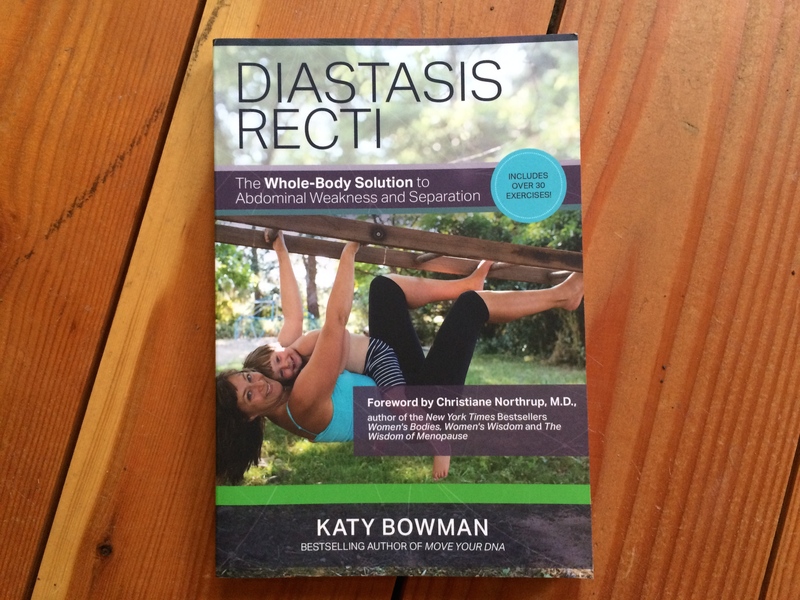 If it’s something in your trunk—the strength of your torso, perceived instability of your lower back, issues in your pelvis—that have your attention, read Diastasis Recti. 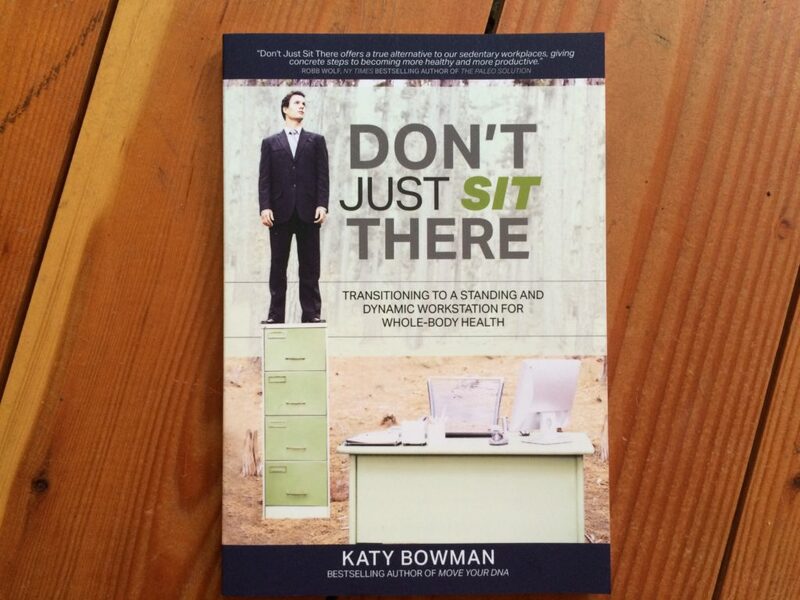 If you want to fit more movement into your office job, read Don’t Just Sit There. If you’re feeling pretty good, generally, or perhaps not great, but in a general way and feel like more movement might help, or have realized that you’re pretty sedentary when you’re not exercising and could benefit from a head-to-toe exercise makeover as well as from moving more outside of your exercise time, read Move Your DNA. 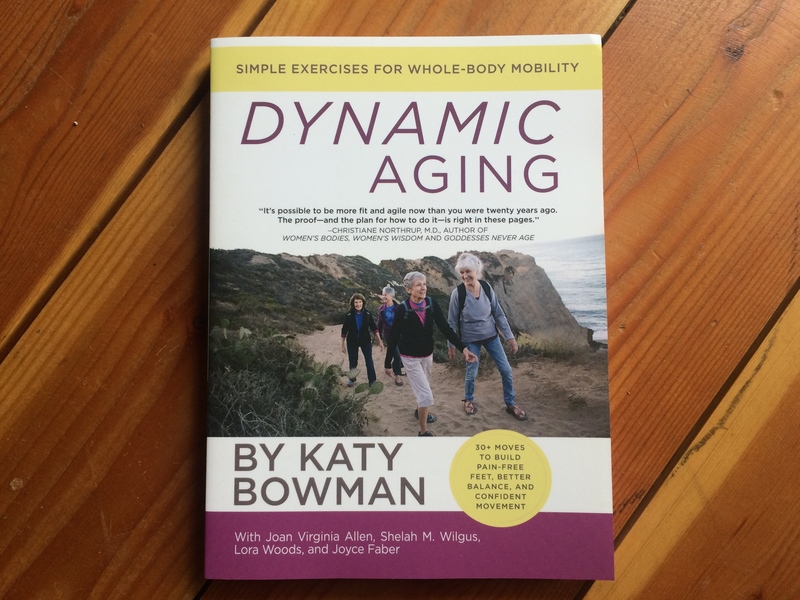 If you’ve got the feeling that you could benefit from a head-to-toe exercise makeover, but like to take things slowly or are feeling particularly unstable, read Dynamic Aging. If you’re more motivated by bite-sized pieces of information, I suggest Alignment Matters. If you’re not an exerciser, or particularly motivated by wellness or health as a category, but are into biology, ecology, permaculture, or environmentalism, Movement Matters is a good book to begin with as it makes our personal movement more than a “part” of a thriving physiology, it argues that our personal movement is a part of a thriving ecosystem. 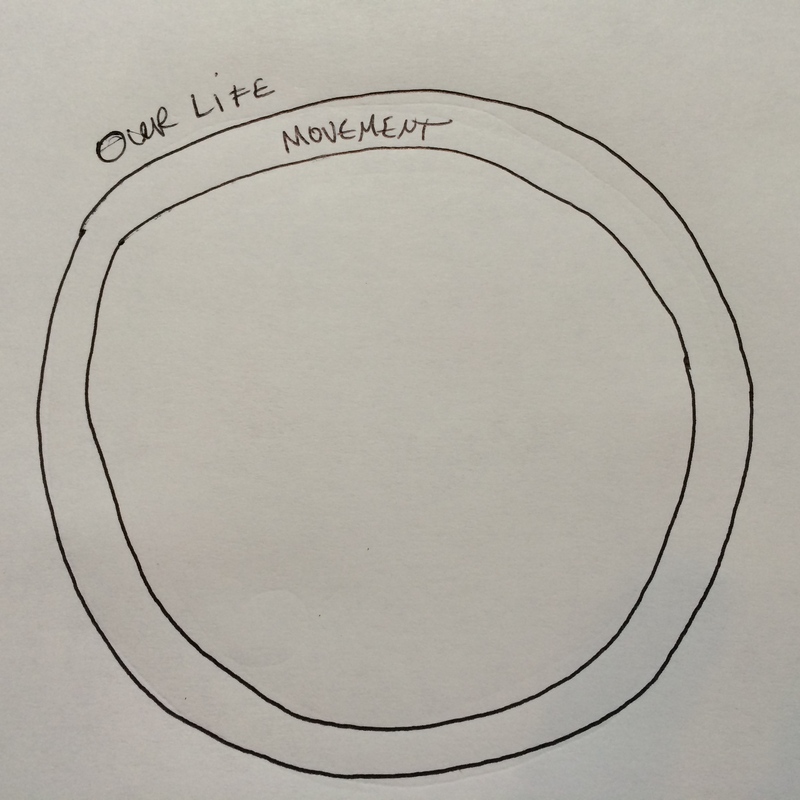 If this perspective will get you moving more, then read Movement Matters. If you find this much reading to be daunting, I also have audiobooks for Move Your DNA, Whole Body Barefoot, Don't Just Sit There, and Movement Matters. These are the books that I’ve written; you can find excerpts of all of them here. I hope this helps you figure out which might be of best service to you!